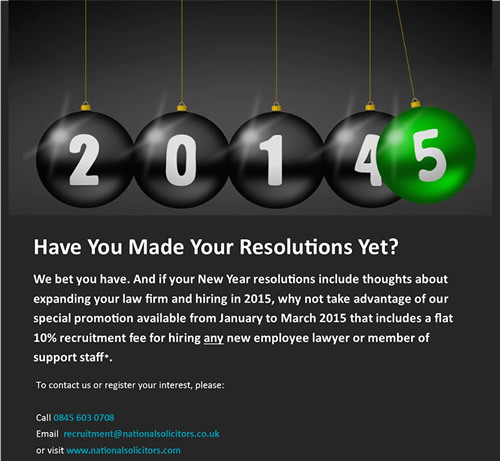 National Solicitors 10% Recruitment deal between January & March 2015. Please contact Sangeet via 0845 603 0708 to discuss in further detail. And in other news we wish our current clients and our prospective clients a Merry, fun, Christmas and a very happy New Year ! If you'd like to discuss how we can help your law firm in the new year please don't hesitate to get in touch.